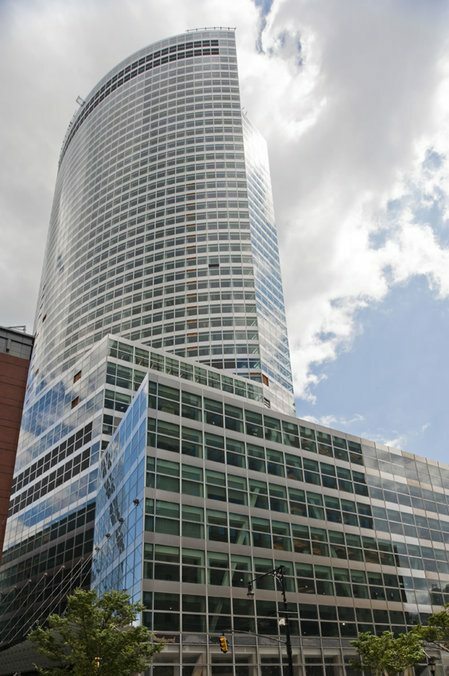 The $2.4 Billion Goldman Sachs headquarters in New York City opened in 2009. Oversight Committee Chairman Rep. Darrell Issa (R-CA) raised hell last year to stop the federal government from investigating Goldman Sachs regarding allegations that the company defrauded investors. In April 2010, shortly after the Securities and Exchange Commission (SEC) announced a civil suit against Goldman Sachs, Issa sent a letter to SEC Chairwoman Mary Schapiro demanding to know if there was “any sort of prearrangement, coordination, direction from, or advance notice” between the SEC and the Obama administration or congressional Democrats over the timing of the lawsuit. This sheds additional light on Issa’s engagement in financial issues since taking over the Oversight Committee earlier this year, specifically reinforcing his strong resistance to any investigation or hearing that might reflect poorly on private financial institutions . Issa has continued to bring heat on the SEC since taking over the Oversight Committee, targeting the Commission with one of the first subpoenas issued . The focus of his concern? Potential conflict of interest at the SEC arising from personal investments related to ongoing investigations. Of course. Last month, subcommittee chair Patrick McHenry — bankrolled almost exclusively by the private financial industry — grilled Professor Elizabeth Warren for hours over the soon-to-launch Consumer Financial Protection Bureau, ending with McHenry accusing Professor Warren of perjury. Issa has strongly backed McHenry’s behavior, and Warren will be back to testify again on July 14th. Issa has also targeted the bi-partisan Federal Crisis Inquiry Commission despite a miniscule budget after it assigned some blame for the financial meltdown to Wall Street. Despite representing one of the districts hardest hit by the foreclosure crisis, Issa has consistently refused to pursue private financial institutions in his investigations into ongoing economic turmoil, and Issa had made increasingly outlandish excuses as he has refused four separate requests from ranking Democrat Elijah Cummings to issue subpoenas to major mortgage banks implicated in fraudulent foreclosure practices. 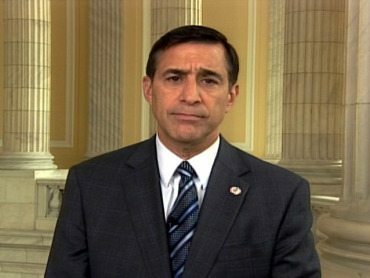 Since Issa has previously shown no compunction about personally profiting from what he does as a member of Congress, and we know that Issa prefers to stack his hearings with personal friends and campaign contributors , today’s revelations go straight to the heart of Issa’s credibility in all of these investigations and non-investigations. How can Issa conduct any investigations or hearings without an assumption that he’s seeking personal benefit before the country’s benefit? not shocked at all,every person in public office now days can not be trusted,republican-democrat all the same, liers, thieves,don’t think so?just look to the county board of stupidvisors.all gop,all white,so where is this diversity i keep hearing about?there should be an investigation into the dealings going on at 1600 pacific coast hwy. (county of san diego seat of power).pam slater has a step and fetch whose many duties include bringing pam hot tea during board meetings.did not see any body else getin any tea.so the main question to be possed at this point is, which lieing,stealing,b s artist are you going to vote for as your next president????? Anyone looking to profit from Goldman action or lack of action would buy the stock not the bonds. A bondholder has no ownership in the company and any action against GS would have very little affect on bond values. Both political parties receiving lobbing money from GS is a much bigger conflict of interest. The bailout of AIG which funnelled money to GS is the issue neither party wants to explore. Oink oink oink, another pig that will dine with no repercussions. evety time a Repug is caught the response is both parties do it. when a Dem is caught they MUST resign for the good of the country and think ofthe children. Issa is a crook and should be fired and charged with insider trading. Congressman Issa, like so many of his colleagues, has all the integrity of a well-salted slug. One could only hope as a well salted slug is dead. Wow, the car thief is expanding his felonious horizons. Why isn’t this piece of crap in prison??? BECUSE PETE HE’S A POLITITION,THEY NEVER GO TO PRISION,WELL THE DUKE DID.YOU FORGET TO PAY A PARKING TICKET,GET CAUGHT WITH A LITTLE POT……BAM……YOUWILLGO TO JAIL. Doug, please do not send us comments in all caps. Remember that Darrel Issa is the same guy who financed the recall of Gov. Gray Davis in 2003, which resulted in the election of Arnold Scharzenegger as governor. that’s why i have nightmares.hey frank look no caps………….. This is just to depressing to even talk about. Please support Issa’s opponent, Jerry Tetalman this November! Gee, the car thief is at it again. Why isn’t this creep in jail?? ?